Marketing Your Real Estate School: What Works and What Doesn’t? 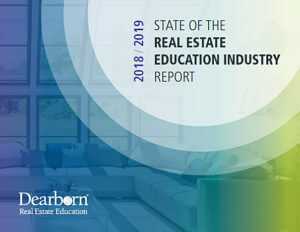 Earlier this year, as part of our Dearborn State of the Real Estate Industry research report, we asked real estate schools about their marketing. We wanted to get a better idea of what kind of activities they use to promote their schools, what they think works the best (and worst), and which areas are requiring the greatest investment. At first glance, you could assume that the most effective marketing activities that don’t take a higher portion of the budget are simply cheaper. But perhaps there are ways you could be investing in each of these activities to make them even more effective. For each of the activities that appear on both the effective and inexpensive lists, we’ve created a way to reassign the percentage of your budget you know isn’t working to get more value out of the things that are. Referrals from Brokers: Are you making yourself easy to refer? This item appeared at the top of the list for effectiveness, but was in the bottom three for cost. This is an opportunity to strengthen existing relationships with brokers, start new ones, and make all of them more effective. Regularly dedicate time in talking to those brokers and understanding what would make it easier for them to send students your way. Investing in a simple postcard-sized handout the brokers could give to potential licensing students could make an incredible difference. Even more valuable, an exclusive prelicensing discount for students the broker sends your way is something both the broker and the student will appreciate. It allows your broker partners to create a relationship with that future agent by giving them something they can’t get anywhere else. Social Media Marketing: Perhaps you’re posting to social media on a regular basis. But are you investing in those posts to make sure they’re seen by more people? Facebook is one of the most powerful marketing tools the world has ever seen, and its paid marketing tools are widely underused. Boosting your posts to make sure they’re seen by more students, or creating Facebook ads, can allow you to get so much more our of your social media efforts at a relatively inexpensive cost. Email Campaigns: Email is tricky. You can’t simply send 300 emails a day just because it’s affordable. You would drive up unsubscribers, and nobody would pay any attention to your emails anymore. Instead, develop a plan for email. Build a campaign around a targeted objective. That won’t cost you anything and will make a big difference. Beyond that, you should invest in growing your list beyond former students. Determine your target audience, and then figure out what they need or want that you have the ability to give them. Develop a downloadable tool based on that information. On your website, you can invite people to sign up to receive the tool. Now you’ve developed an email list of truly new leads who you already know have an interest in your products. Affiliations with Local Real Estate Commissions: Are there additional opportunities to increase your visibility in the commission? Consider sponsoring events. Find out if you can present at an upcoming meeting about a topic of interest to agents in your area. Explore opportunities to become more embedded in the local real estate community.